If you feel like going through the list, there are dozens of features within TTS Corporate. To make it easier for you, we’ve organized a PDF for you to see or download and keep as a reference. Keep in mind this document gets updated regularly. Agencies can self-register in the application in less than a minute. No setup costs and complex configuration processes involved. TTS Corporate offers free and paid content and features, which can be subscribed for the agency and/or companies (depending on the content/feature) allowing the agency to pay only for what is being used and actually enabling agencies to use the application for free. The application is prepared to support multiple languages. It is available in English, Spanish and Portuguese and other languages will be added soon. The language is automatically selected based on the user’s browser preferred language. With an intuitive web experience, it works with all modern web browsers allowing travel agents to work how and when suits them best. It doesn’t require any software installation. A mobile application offers the most relevant features for a traveler on the go. Designed to fit perfectly on smartphones and tablets. Supports iOS and Android devices. TTS Corporate can be customized to your agency and your companies’ needs through the subscription of the free and paid content and features to allow you to offer your companies a tool as settings-rich as each company needs, clear of unwanted functionality. Connects with your Travelport GDSs, Apollo, Galileo or Worldspan, which distributes content from over 400 of the world’s leading network airlines and low-cost carriers, through a PCC/SID of your choice, to let you and your companies search and book among all network airlines’ air content available for your agency. To retrieve GDS Core, your agency needs to complete the GDS provisioning which requires the activation of the connection between TTS Corporate and your GDS, the insertion of same GDS related information like Mandatory Rule Name (if the PCC/SID you are using has one, you have to add it to the application otherwise the application will not be able to complete bookings), City GDS, ViewTrip White label (in case you have it), OW Faring activation (available only, if your country has access to this feature), management of credit cards types you accept from your clients to add as form of payment (FOP), and finally some agency details that are necessary to complete bookings with GDS segments (short name, general bookings phone and currency). This provisioning is shared between GDS Core Flights, GDS Core Hotels, and GDS Core Rent-a-Car, so after completed for one of these contents it will be ready for the other referred contents. No need to repeat the process. Set globally or per company, the booking and ticketing queues where you wish to send the reservations with GDS flight segments made at TTS Corporate. Define globally or per company, the payment methods you want to allow for GDS core flights. Supports: Offline Payment (cash, bank transfer, contract, etc.) and Credit Card. This section allows agencies to add, globally or per company, the carriers they wish to point out to their users as being their preferred ones. Excel file export is available. This section allows agencies to specify, globally or per company, the carriers they wish to exclude from the search results. Excel file export is available. Supports Service Fee and XP. Fees are applicable per File Fare. Fees can be set globally or per company. All fees can be set by “Flight Type” (Domestic, International, and Intercontinental), and can be defined for specific date ranges. The amount can be set as an absolute value and/or a percentage, which can be applicable to the fare amount or to the total price. Excel file export is available. This section allows agency users to add their companies’ Corporate IDs (Company’s Identification Code) so they can be added to the GDS PNR. Excel file export is available. Connects with your Travelport GDSs, Apollo, Galileo or Worldspan, which distributes content from over 650,000 hotel properties worldwide, through a PCC/SID of your choice, to let you and your companies search and book the hotels’ content available for your agency. To retrieve GDS Core, your agency needs to complete the GDS provisioning which requires the activation of the connection between TTS Corporate and your GDS, the insertion of same GDS related information like Mandatory Rule Name (if the PCC/SID you are using has one, you have to add it to the application otherwise the application will not be able to complete bookings), City GDS, ViewTrip White label (in case you have it), OW Faring activation (available only, if your country has access to this feature), management of credit card types you accept from your clients to pay for GDS content, and finally some agency details that are necessary to complete bookings with GDS segments (short name, general bookings phone and currency). Set globally or per company, the booking and ticketing queues where you wish to send the reservations with GDS hotel segments made at TTS Corporate. Define globally or per company, the payment methods you want to allow when the hotel requires prepayment, guarantee or deposit to complete the booking. You can ask for the clients’ credit card or use one of your agency’s saved ones. This section allows agencies to add, globally or per company, the hotel chains they wish to point out to their users as being their preferred ones. Excel file export is available. This section allows agencies to specify, globally or per company, the hotel chains they wish to exclude from the search results. Excel file export is available. Supports Service Fee. Service Fees are applicable per room. Fees can be set globally or per company. Fees can be defined for specific date ranges. The amount can be set as an absolute value and/or a percentage, which can be applicable to the rate amount or to the total price. Connects with your Travelport GDSs, Apollo, Galileo or Worldspan, which distributes content from over 35,000 car locations worldwide, through a PCC/SID of your choice, to let you and your companies search and book the rent-a-cars’ content available for your agency. To retrieve GDS Core, your agency needs to complete the GDS provisioning which requires the activation of the connection between TTS Corporate and your GDS, the insertion of same GDS related information like Mandatory Rule Name (if the PCC/SID you are using has one, you have to add it to the application otherwise the application will not be able to complete bookings), City GDS, ViewTrip White label (in case you have it), OW Faring activation (available only, if your country has access to this feature), management of credit cards types you accept from your clients to pay for GDS content, and finally some agency details that are necessary to complete bookings with GDS segments (short name, general bookings phone and currency). Set, globally or per company, the booking and ticketing queues where you wish to send the reservations with GDS rent-a-car segments made at TTS Corporate. Define, globally or per company, the payment methods you want to allow when the rent-a-car supplier requires prepayment, guarantee or deposit to complete the booking. This section allows agencies to add, globally or per company, the rent-a-car suppliers they wish to point out to their users as being their preferred ones. Excel file export is available. This section allows agencies to specify, globally or per company, the rent-a-car suppliers they wish to exclude from the search results. Excel file export is available. Supports Service Fee. Service Fees are applicable per vehicle. Fees can be set globally or per company. Fees can be defined for specific date ranges. The amount can be set as an absolute value and/or a percentage, which can be applicable to the rate amount or to the total price. A leading travel content aggregator most known for its wide coverage of low-cost carriers’ offer, to let you and your companies search and book among their 220 low-cost carrier and network carriers’ air content available. This type of connection to TravelFusion allows your agency and your companies to search and book TravelFusion content using TTS credentials, meaning TravelFusion content is available for your agency and companies without your agency having to have a direct relationship with TravelFusion. This type of connection to TravelFusion allows your agency to use its own TravelFusion credentials to search and book TravelFusion content under the conditions established directly between your agency and TravelFusion. To retrieve content and to complete bookings with Travelfusion segments, some agency details need to be completed like currency, agency short name, bookings phone and address, so if they haven’t been completed yet, they will be requested for Travelfusion provisioning. You can enable the creation of passive segments in your GDS for Travelfusion booked segments. Set globally or per company, the booking queue where you wish to send the reservations with Travelfusion flight passive segments made at TTS Corporate. Define globally or per company, the payment methods you want to allow when the carrier requires prepayment, guarantee or deposit to complete the booking. This section allows agencies to add, globally or per company, the carriers they wish to exclude from the search results. Excel file export is available. Fees are applicable per journey type (One Way or Round Trip). All fees can be set by “Flight Type” (Domestic, International and Intercontinental), and can be set for specific date ranges. The amount can be set as an absolute value and/or a percentage, which can be applicable to the fare amount or to the total price. Excel file export is available. If your agency has credentials to login in a carrier’s systems (website or another commercial channel), you can add them to the application so they can be passed on through the search request to access any existent custom content. Add your logo to TTS Corporate and choose the application dominant color. Replace TTS Corporate’s logo with your agency logo. Agencies can change TTS Corporate’s dominant color to a color of their choice. This options will be applied to the agency environment and to the companies’ environment. Customize the header and footer of TTS Corporate’s automatic emails. Choose your own domain for your users to access TTS Corporate. Tailor TTS Corporate experience to your travel agency image and communication tone, so that your clients can feel at home when managing their travel needs at TTS Corporate. Agencies can change TTS Corporate’s colors to adapt the application to their look & feel. The agency color scheme will be applied to the agency environment and to the companies’ environment. Use a corporate custom domain (http://subdomain-corp.tts.com) for your users to access your TTS Corporate. Add links to your social media pages to TTS Corporate’s footer. Add additional pages to TTS Corporate to communicate specific content to your users. Travel policies let your companies define travel rules and approval workflows per user groups to ensure that autonomous booking continues to respect corporate travel policies. “In-Policy” rule supports “Auto-Approval” and “Need Approval” options, which apply when the booking respects the associated travel policy. “Auto-approval” feature means that the booking is ready for ticketing after being made, “Need Approval” makes the booking wait for approval. “Out-of-Policy” rule supports “Hide”, “Forbidden”, “Need Approval”, “Auto-Approval with warning” and “Auto-Approval” options which apply when the search results or the booking does not comply with the traveler’s travel policy. If a trip is “Out-of-Policy, if “Hide” has been chosen, the search results considered Out-of-Policy will not be shown, when “Forbidden” has been selected, all search results appear but the ones considered Out-of-Policy will not be available for selection, when any of the other options has been selected all search results will be available for selection, and if that’s the case they will be marked as Out-of-Policy, however if an Out-of-Policy price option is booked, “Need Approval” will only allow ticketing after the booking has been approved, “Auto-Approval with warning” and “Auto-Approval” allow ticketing immediately after the booking has been made and if “Auto-Approval with warning” applies it will trigger a notification email to the respective approver(s) letting them know that an Out-of-Policy booking has been made. Approval workflow supports “Parallel Approval” and “Sequential Approval” which will determine the sequence that the approval email requests follow. If a traveler is subject to “Parallel Approval”, the application will send the approval email request to all approvers at the same time. If a traveler is subject to “Sequential Approval”, the approvers defined have an order and the application will only send an email to a subsequent approver after receiving the answer of the previous one and only if necessary according to with what is set in minimum approvals. Travel policies support several approvers. Allows travel policy creators to set the minimum number of the approvals to consider a booking authorized. It’s applicable to “Sequential” and “Parallel” workflow approvals and is particularly useful when a traveller just needs to receive a specific number of approvals for the booking to be considered authorized even if he has more approvers than that specific number (e.g. the traveller just needs 2 approvals but he has 5 approvers in his travel policy). In sequential approval, to minimize the cases where the approval process doesn’t proceed due to lack of response, users are able to define the maximum time the system waits for the response of each approver as well as a default approval behavior (approved/denied) to apply to trips in case the trip approval status is not reached due to lack of responses. It allows users to specify the bookings that the travelers are authorized to book. Type of Journey, From Country, From City, To Country, To City, Carrier, Class, Minimum Trip Duration to allow Business and First classes and Maximum Price per passenger. Maximum price can be set as a fixed amount and/or as a relative (%) tolerance towards the cheapest search result. Country, City, Hotel chain, Hotel Stars Ranking and Maximum price per night. Pick-up Country, Pick-up City, Supplier, Vehicle Category, Vehicle Class and Maximum Price per day. Supports user groups’ creation to which travel policies will be associated. Companies can define reason codes, which users can add when making a booking that doesn’t respect the associated travel policies (Out-of-Policy). Reason codes are added to the GDS PNR as a remark. And for seamless integration with travel agencies’ systems, travel agencies can customize the reason code remarks’ name and separator. Reason Codes are configured by the company. Private Fares allow you to include your own travel agency private fares and your companies’ negotiated fares in search results whenever they are available. Configure, globally or per company, the Air Private Fares you want to include in your clients’ air search results. Supports Airline Private Fares and Agency Private Fares including Corporate Account Code private fares. – blacklist the Air Private Fares you want to exclude from your client’s air search results based on a combination of (all or just some of the following parameters) Carrier, Origin/Destination, Fare Basis and Tour Code. Add yours and/or your companies’ Multi-level Access Rate Codes to include Hotel Negotiated Rates in your clients’ hotel search results. Add yours and/or your companies’ Corporate Discount Numbers to include Rent-a-Car Negotiated Rates in your clients’ rent-a-car search results. Markup Fees allow agencies to apply a fee to GDS air trips, without having the fee visible to the customer since when there are markups applied, taxes’ details are not presented, only the total amount. Markup Fees can be defined per company, applicable dates, Type of Flight (Domestic, International, and Intercontinental), City-Pair, Region, Airline and Class. Markup fees can be a fixed amount or percentage based on the fare or on the total price of the trip. The Markup fee applied is described in the PNR through a DI defined by the agency. With Visual Guilt companies can choose time ranges among 1h, 3h, 6h, 12h and the lowest price available within those time ranges towards the user’s selected flights will be suggested to the user. These price options will be suggested on the current trip page and the user can easily replace his selection by one of the suggested lower ones. The suggested prices are included on the booking page and on the PNR for comparison and reporting purposes. Backoffice Integration includes the ability to generate and customize fields to better integrate information into your backoffice systems. Machineable Interface Record file created by your Travelport GDS, which you can use to integrate your bookings information into your back-office systems. Only available for Apollo and Galileo. Travel agencies can create custom remark fields globally and per company, either to request additional information to users at booking time (like cost center or other relevant information) or just to send fixed specific information to the booking. Custom remarks are added to the GDS PNR as remarks. Custom remarks are also included in the MIR file. Allows companies to ask you for more complex travel journeys or additional services in a way that lets both parties, travel agents and companies, track all the requests made. By default, each company can have 50 active users for free. If a company needs to have more active users, you can subscribe one or more packs of 50, 250, 500 or 1000 additional users for that specific company. User-packs of different volumes can be combined with one another. Quickly create new travelers, update and delete existing ones by importing users from an Excel file. The imported user data can also specify the user group so it can be immediately associated with the applicable travel policy. A region can be a set of countries or cities/airports which you can use to ease the setup of Air Private Fares. Regions can be used to easily specify Account Codes journey coverage or to blacklist certain Air Private Fares for specific journey searches. Regions will also be used in the future to allow for more customization for other settings like Fees. Best Price search is based on Best Buy searching method and presents the prices sorted by cheapest price. One Way Faring is an availability & fare search method that lets users combine different fare types and carriers in one itinerary and is available for domestic Australian, domestic New Zealand and Trans-Tasman flight searches which are mainly governed by One-Way pricing. TTS Corporate supports this pricing method and offers an interface designed having this method in mind which allows the user to walk through flight results easily and quickly and combine different fare types and carriers in one itinerary. Combines One Way fares to (including combinations between regular and low cost carriers) to build a Round-Trip fare, offering travellers additional valuable travel options (optional feature). Origin & Destination, Dates with Departure & arrival time, Direct Flights, Cabin, Carrier, Flight Number and search for multiple travelers with different passenger type (PTCs) like adults, children, and infants with or without a seat. Flight Number, Carrier, Operating Carrier, Aircraft, Duration, Distance, Class, Fare Basis and Fare Rules and Departure and arrival time of each segment. If a traveler has a travel policy associated, the application will go through all search results to check which ones are out-of-policy to highlight them (or hide them, depending from what has been set up) and displays why they are out-of-policy. The travel policy application status is present during all the booking process. Immediate visual and detailed access to the checked baggage allowed. Visual info only available for Travelport GDS content. Immediate visual info if the price is based on a private fare. Users can easily check the benefits and restrictions of each fare, access, and change to other available fares on the selected flights and book the ancillaries available for each flight in a very comprehensive way. Access to fare conditions full details. City or Address or Point of Interest, Hotel Name, Dates, Stars Ranking, Radius distance to the Address or Point of Interest and Number of Rooms. Hotel search results are displayed in a map to help travelers better understand the location of each property in comparison with the address or Point of Interest searched as well as in comparison with the other results. Hotel Chain, Address, Visual location in the map, Contact information, Photos, Amenities, Information about hotel transportation, Rate name, Cancellation details. If a traveller has a travel policy associated, the application will go through all search results to check which ones are out-of-policy to highlight them (or hide them, depending from what has been set up) and displays why they are out-of-policy. The travel policy application status is present during all the booking process. Access to rate conditions full details. Pick-up and Drop-off Cities, Pick-up and Drop-off locations, Return vehicle to a different location, Vehicle Class. Expected vehicle, Supplier, Vehicle Type, Vehicle Class, vehicle rules and additional information, location details, and features info such as Air Conditioning, Transmission, Fuel Type, Mileage covered. Price, Vehicle Class, Vehicle Category, Transmission and Fuel Type, Doors, Supplier and other specifications such as Air Conditioning and Unlimited Mileage. Access to rate rules full details. Highlights the lowest prices available towards the user’s selected flights within the time ranges configured, to let the user know about those cheaper options so he can make a well-informed decision, which ultimately leads to trip savings. The suggested prices are included on the booking page and on the PNR for comparison and reporting purposes. Users can book multiple passengers in one booking. If the travelers have travel policies associated, the system validates each traveler travel policy and shows insightful information on screen regarding each traveler policy application. Add all the products you wish to book to your “current trip” and book everything at once. You can add several products from the same and from different content types. If a traveler has a travel policy associated, the travel policy application status and the reasons why it’s out-of-policy are displayed during all the booking process. Supports Advanced Passenger Information System data (Name, Surname, Gender, Date of Birth, Nationality, Travel Document Type, Travel Document Number, Travel Document Expiration Date and Travel Document Country of Issue). Supports Frequent Flyer card information insertion and adds it to the booking. Supports Hotel Membership card information insertion and adds it to the booking. Supports Rent-a-Car Membership card information insertion and adds it to the booking. Supports GDS SSR requests and adds them to the GDS booking. Requests a reason code for out-of-policy bookings (if reason codes were defined) and supports reason code observations to add additional information that might be relevant for approval. Request payment if applicable according to the definitions made by content type. The pricing is shown by PTC and breakdown by Fare, Taxes, and Service Fee and if necessary specific taxes may be itemized per market to comply with legal market requirements (e.g. tax GST for the Australian market – tax code UO – charged on domestic Australian journeys). If the booking has GDS segments and/or other content provider segments with passive segments activated, a PNR is created in the GDS. Segment and price information is added automatically as Notepad. Sends bookings to the GDS booking queues defined. Notifies by email the booking agent assigned to the company of the travelers being booked. After a booking has been made, if a traveller needs approval, the application will follow his specific workflow method and send the respective emails to the approvers requesting the traveller’s approval. If a booking includes more than one traveller the booking shall only be considered approved when all travellers are approved. Supports “Print” and “Send by email” itinerary with all confirmed segments. Allows company users to request ticketing to the agency. Sends bookings to the GDS ticketing queues defined. Notifies by email the ticketing agent assigned to the company of the travelers being booked. Displays a list of the trips already booked and an advanced search to allow you to easily find the bookings you are looking for. Allows easy access to the list of PNRs waiting for the approvers’ action. Allows users to edit their information including their password. Enables agency users to edit their agency details. Includes, Agency name, address, contacts, VAT number, agency short name, general bookings phone, responsible person. Supports travel agencies own terms and conditions for users to accept before completing a booking. Travel agencies can store agency credit cards if they want to assume the payment of certain contents for certain companies. Agencies can add their email, phone and working hours support information which will be displayed at TTS Corporate header. Offers company management autonomy to agencies allowing them to easily add as many companies as they wish to. Agencies can create, edit and delete companies. Includes Company name, address, contacts, VAT number, status (active, inactive) responsible person. Agencies can assign a booking agent to each company. The respective booking agent will be notified by email when a booking is made. Agencies can assigned a ticketing agent to each company. The respective ticketing agent will be notified by email if ticketing is requested for a booking. Agencies and companies have user creation autonomy. Ability to create, edit and delete users. Includes name, date of birth, title, phone, and address. Companies can associate several roles to their users, which will define the features they have access to. Supports the following company roles: Traveller, Arranger, Approver, and Admin. Users can accumulate roles. Traveller user profile accommodates full traveller information such as APIS (Advanced Passenger Information System), Frequent Flyer Card, Hotel Membership Card and Rent-a-Car Membership Card information, text notes where users can add seating and meals preferences or any other additional information that might be relevant at booking time in particular when the booking is made by an arranger. Displays the current balance available and all the transactions related to the paid content and features subscriptions. It also shows the amount correspondent to overdue payments. Allows you to add funds to the application which are used to pay for the costs associated with the paid subscribed content and features. Supports PayPal and credit card. Allows you to easily track information about changes made in the application namely content and features’ status changes. 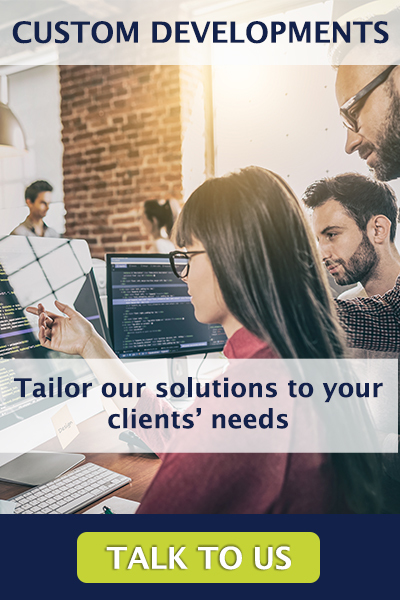 Managed Services Credits allows you to ask TTS to manage your agency profile, create, update or delete companies and users and setup the content and features you subscribed for your agency and for your companies. When you need something changed, you just need to ask us. Access to a knowledge base with detailed content about how the application works. 24/7 support by email available in English, Spanish and Portuguese. Does your agency or companies need to integrate different content or have a problem not solved by any of these features? Of course, we are available for custom development to tailor TTS Corporate to your needs! Paid content/feature/service – Check the pricing matrix. Start testing these features right away!